Why Choosing a Paperless Home Makes Everyday Life Easier. In a generation where anything and everything is accessible via computer, going paperless is now easier than ever. While we’ve previously discussed the benefits of maintaining a paperless environment in your office, these benefits can be reaped at home as well. Here are some simple tricks–as well as monetary and environmental benefits–of going paperless at home. Opting out of junk mail: We’ve all seen these in our mailboxes–direct advertisement mailers, catalogs, marketing bait disguised as official-looking letters stamped with “IMPORTANT MUST READ”. Most of these go unseen and end up either in the trash (which attributes to the 200 million tons of garbage produced in America each year) or in the “junk mail” corner of your living room, only to multiply with time. Luckily, there are ways to opt out of junk mail. The Direct Marketing Association allows you to opt out of the mail you receive, so you minimize the amount of useless mail taking up space in your mailbox (and eventually, your trashcan). Choosing paperless billing: Gone will be the days where you wonder where you stored last month’s utility receipt. It can be difficult to keep up with so many bills, which is why companies now offer a paperless billing option to keep your statements organized. Want to simplify this process even further? Most banks offer the option to pay your bills on their website; all you have to do is link your accounts to your bank account and you can make all of your payments without having to skip through various websites. Aside from the simplicity factor, paperless billing is a huge environmental and cost-saving initiative. Not only will they save money on printing and mailing these statements, but they are also helping decrease the amount of paper being printed overall–and the amount of paper you’ll have to file and dig through when you need to reference a particular billing statement. It’s a win-win. 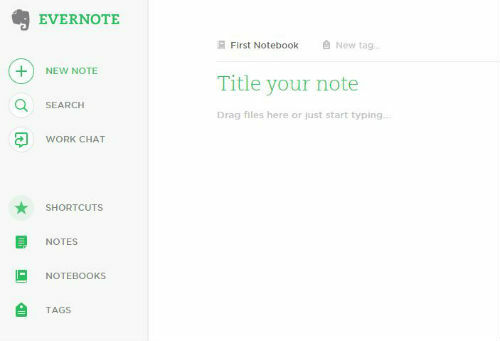 Storing your notes and ideas digitally: Post-it notes are are a fun and easy way to jot notes down in a pinch. However, unless you’re carrying these small stacks of paper with you while you’re out, chances are you’ll run into a time when you’ll need to reference that to-do list you wrote down (that is stuck to your computer monitor at home). Programs such as Evernote and Simplenote allow you to everything from taking notes, create organized notebooks, pin useful documents you find while web browsing and much more. Best of all, these programs are accessible across several devices, so you can access your information both at home and on-the-go with your mobile phone. There truly are no limits when choosing to go paperless with your notes and ideas at home. Scanning your existing documents: At Document Scanning Services LLC, we understand that the transition from physical to digital paper storage can seem daunting. Unlike the offices of our nationwide clients, the majority of people may not be storing years worth of documents in their homes. Once you’ve decided to go paperless at home, establish what you want to keep and scan these documents into organized files. It’s important to provide a safe place for the documents you do decide to keep–where they can be accessed easily (and can be out of your way to maintain a less cluttered home environment). At Document Scanning Services LLC, we encourage a paperless lifestyle even outside of the office–not only because it promotes organization and eliminates unwanted clutter, but simply because it makes life easier. We live in an era leaning towards a digital and eco-friendly way of life. Don’t let unwanted paper clutter interrupt your home life! You could be saving significant time, money and peace of mind by going paperless at home. For those who run their business from home, it’s even more critical to keep your space organized to prevent your work from drowning out your personal space. For more tips on how to maintain a paperless home environment, contact Document Scanning Services LLC today at 954-271-0118.